When I first mentioned the lights camera flashes mascara from Tarte, I knew that it would become one of my favorites. I have since purchased back-ups for my back-ups, because that's how wonderfully this mascara works on my lashes. 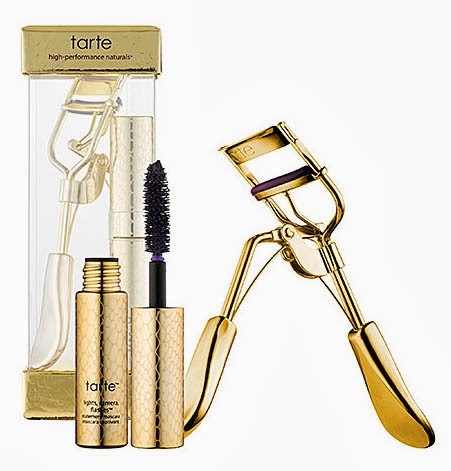 Now, Tarte is offering lash enthusiasts a special offer which can be found exclusively at Sephora. For $19 you can get a mini Lights, Cameras, Flashes mascara and a limited-edition gold picture perfect eye lash curler. Have you tried Lights, Cameras, Flashes? If so, what say you?